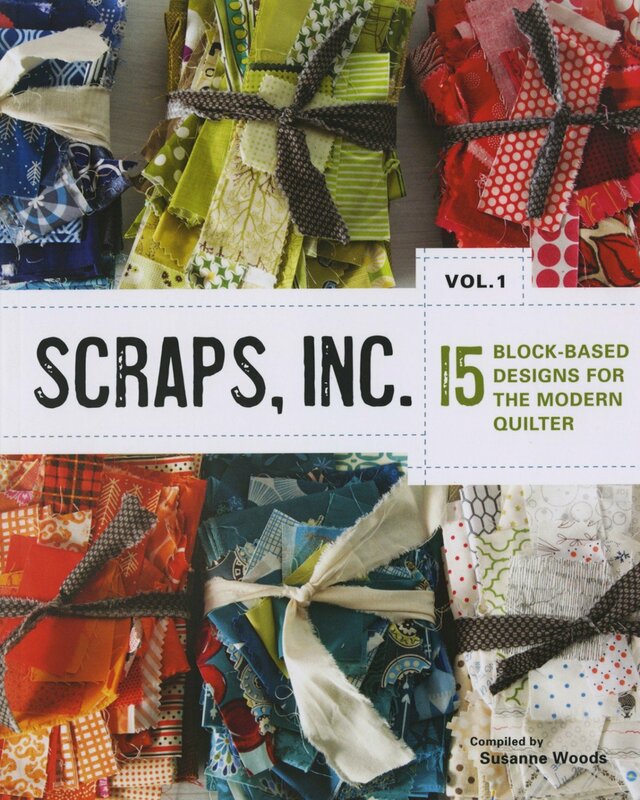 Scraps Inc.Vol.1: 15 Block-Based designs for the Modern Quilter. Recycle your scraps. Is your mountain of scraps in danger of toppling? Now's your chance to make fantastic, edgy quilt designs from your beloved fabric remnants of past projects. The new and inventive patterns in Scraps, Inc.: 15 Block-Based Designs for the Modern Quilter will help you piece together your treasured scraps into a stunning new quilt. 15 budget-busting, modern quilt designs. This project-based book features 15 unique quilt designs by well-known designers and it is aimed at the experienced modern quilter. Save money as you sew by piecing together stunning new quilts from your stash of fabric scraps. This is not Grandma's quilting book. An industrial setting serves as a dramatic backdrop for the edgy photographs throughout the book – juxtaposing dark and moody backgrounds with the robust, bright colors of these modern quilts. A visual delight, this beautiful book treats you to over 100 vivid photographs that will inspire you to see your scrap pile in a whole new way. Tackle tricky color combinations. Scrap quilts are hard to design due to the variety of color challenges introduced by random scraps. The modern patterns in this book help solve those issues with clearly illustrated color schematics and tips on color harmony.